We produce visuals that are well-designed and original. We develop applications and websites that are optimized and easy-to-use. We strategize and implement solutions that ultimately perform. We holistically help manage your online presence. RPMSuccess first hired us several years ago to do custom development – WordPress plugins and a theme framework to be used to give their coaching clients an edge in the marketplace – The results were so successful that they later spinned it off as a it’s own entity with a product Called Blogi360 and then later on to become QuanSite. The system which e4 created from bottom to top. Took orders on the front end and collected the user’s info to then automatically create a website for them loaded with automation tools that we custom developed or modified existing applications to deliver better results. The platform sort of became a ‘best-kept secret” among a number of top business person and internet marketers. After launching a QuanSite it was not atypical for a client to have their site appear the top of search engine results within days for competitive keywords and thus just crushing their competition and created such an advantage for them that the small monthly maintenance fee QuanSite charged was minuscule in comparison. The system saved a ton of time by automating many marketing tasks in the background as well as offering better control over their own site through innovative management tools that we custom developed. Some of the tasks that were automated for example was a blog post automatically bookmarked in social bookmarking sites and social media sites. In addition, if there was a video in the post, it was automatically sent to a 3rd party service to be converted to web format and then automatically distributed across a CDN system to ensure that videos always load quickly no matter the traffic spikes it might experience. Then it took the video and automatically uploaded to number of video sites with a description and a link to your site automatically added with the videos. 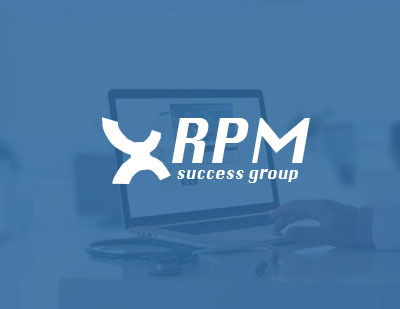 This is a small glimpse of the features we developed for RPMSuccess. In addition to that we also build all the management systems, hosting management etc to manage over 2000 Sites as it’s peak spread across half a dozen power servers. In addition to these roles, we also defended and cleaned up several hack attacks as well as took care of direct technical support for customers. We also provided much consultation, strategies and cost-saving initiative for QuanSite and their clients. See what we do. Discover how we can help your business grow. Get to know us better. We can help you grow with the right online systems. Guaranteed. Why delay growth? Get in touch now. We offer straightforward solutions to the most complex of business challenges. Want to get your project up-and-running? Let us help you with that TODAY!